It’s difficult paying tribute to someone I have never met. I can’t tell you about the time that he danced around our living room and made me laugh until I cried or about the time he sat down beside me and told me something so incredibly profound that I could only sit in stunned silence in the moments that followed. I can’t tell you about these instances because they never happened—and perhaps that is what makes the loss of Robin Williams so difficult. I can’t seem to justify the overwhelming sense of sadness that has taken hold of me because I didn’t know the man. He was a face on a screen—albeit a familiar one. I have no claim over him, no mutual bond, no shared laughs. What right have I to grieve? And now I must correct myself, because to call Robin Williams merely “a face on a screen” is to do him a terrible injustice. We welcomed into our homes and into our lives as our nanny, our therapist, our teacher, our wish granter. We didn’t need to know him personally to know his love and his talent. 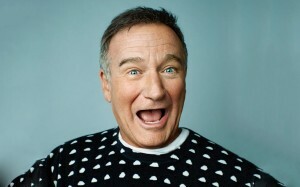 Williams had a gift for laughter and joy and he gave it away freely. We are all richer for having had him in our lives, even if we only ever saw him through a screen. How rare it is to find someone who can speak to us though both comedy and drama—and Williams was able to do just that. I could cite his sold-out comedy routines or his 1998 Oscar as proof of his talent, but instead I’ll ask you to look back at his work and to think on how it made you feel. 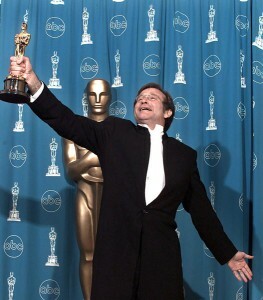 For me, Robin Williams was magic. 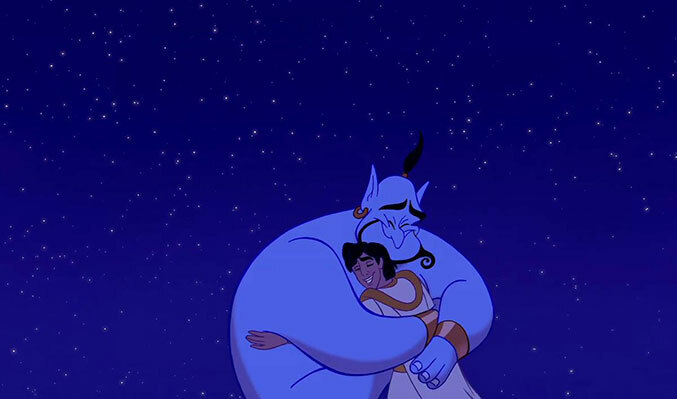 Like many of my peers, I was born into a world already filled with the wonderment of Genie’s powers. I watched Aladdin at every opportunity, memorized the movie’s accompanying picture book, and forced my family into my pretend world of thieves, genies, and magic. 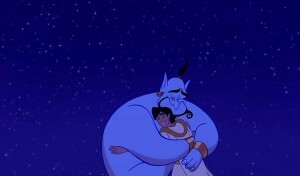 Looking back, I feel that much of my fascination with the film is owed in great part to Williams’s portrayal of Genie. He was so loud—so full of life—that he was impossible to ignore. Impossible not to love. 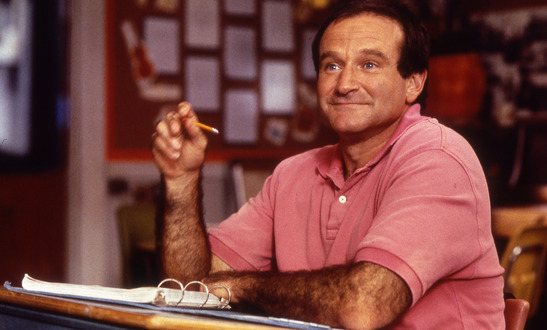 And Robin Williams didn’t just whisk us away to Agrabah and leave us there. 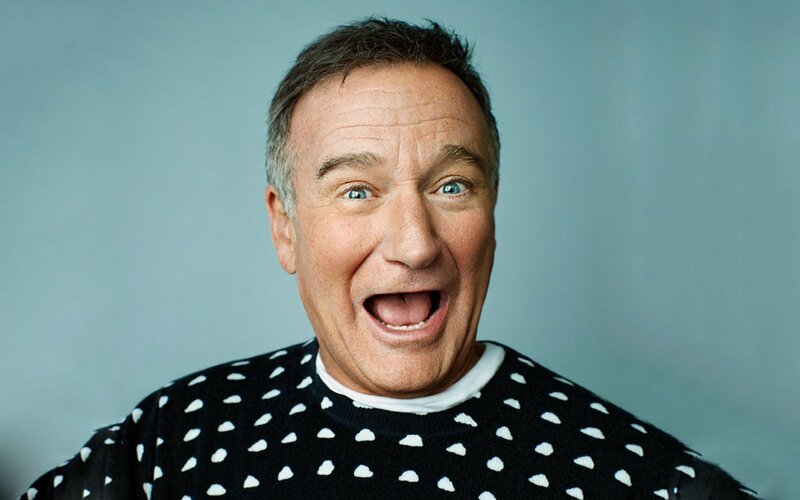 He flew us off to Neverland, shipped us off to Welton Academy, lounged around with us at South Beach, and brought us home all in time for board games. I can still feel my heart beating in time with the drums from Jumanji and I still feel giddy with excitement at the thought of the food fight in Hook. And so perhaps we never knew him. But that doesn’t mean he didn’t touch our lives. It doesn’t mean that he didn’t matter to us. Robin Williams filled our lives with magic and laughter, and will continue to do so as long as we keep his memory and work alive. I think that it would be remiss to not touch on William’s struggle with depression, and eventual suicide. His death serves as a reminder that this illness can touch us no matter who we are. I can only hope that out of this tragedy we can be reminded that depression is a serious mental illness and requires medical attention. If you are struggling with depression or are having thoughts of suicide, please know that it is not your fault and that you are loved. Call your parents. Call a friend. Call a hotline. You are not alone. With his passing a little magic leaves this world. So we look up to the summer sky when the stars are strung across the velvety night and we remember a great man. An actor. A comedian. A friend. He was like magic. Love this, Rach!